New Super Blue is a V.O.C. compliant reformulation of our traditional solvent-based silicone tire dressing. 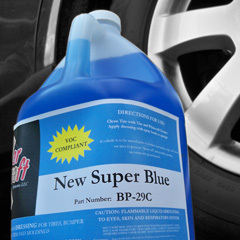 It provides a matte finish to restore a new tire look to your vehicle.